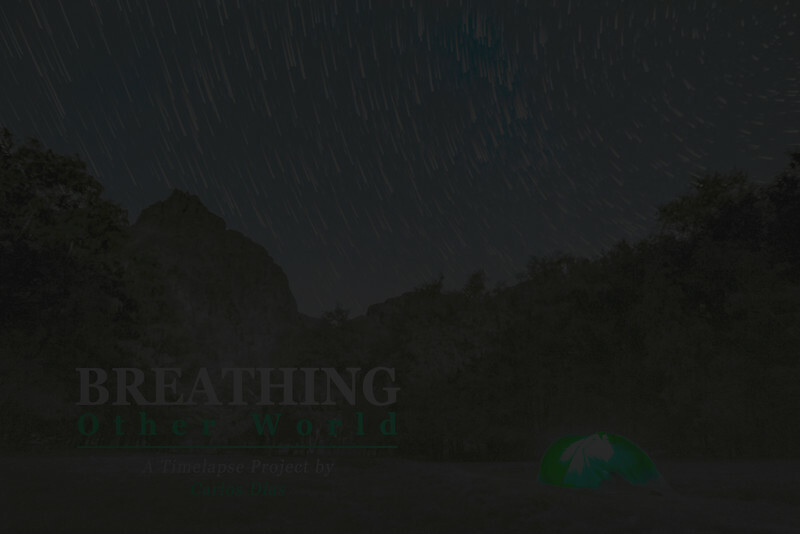 “Breathing other World” is my first timelapse project, shot between March 2013 and August 2014. During this time, to create this video, I had to collect around 9000 photos, drive a couple of thousands Km, hike many hours to can achieve breathless places, sometimes with temperatures below zero and to stay throughout the nights with tent and sleeping bag. For many, this could sounds a little crazy to do, but to me it has become a lifestyle, I love it! Camping in uncomfortable conditions under a starry night and watching a meteor shower, is something that I wouldn't trade for anything else. From coastline to mountains, to some National Parks, all footages in this video were filmed in Portugal and Spain, most of them were collected in my last road trips. The goal of this piece was to show to everybody how beautiful this world is and how much is really out there, many times not so far away from our homes as probably we think. Take a trip, get an adventure, keep your eyes wide open and enjoy the world! Please watch in HD Fullscreen and with volume up for best quality. To avoid skipping, please let the video fully load. I hope you enjoy it!